Are You in the greyzone? When you’re in the greyzone, you’re overwhelmed by stress, anxiety and fear. You’re processing through others expectations of you and your career versus your own heart’s desire. You want a promotion; at the same time you want to move to Idaho and become an organic farmer. All you know is that life isn’t working quite right and there’s an urgency to make it better. 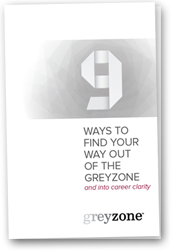 greyzone was born of a passion for guiding people through these stressful times. 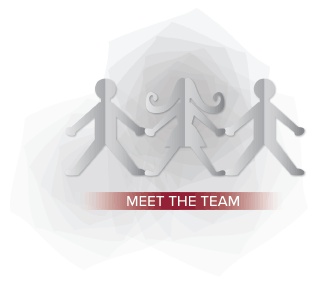 Our mission is to bring focus, clarity and intention to your career decisions. We do this by offering support, accountability and professional direction, removing the isolation often found when facing career decisions. We empower you with the tools and knowledge to make the most of the job search process. Process through the buzz in your head to find clarity. Our coaches will structure brainstorming, use effective listening, and with a dose of intuition, guide you to rule out options, start a pros/cons list and ultimately build a dream job sketch to chart your course. 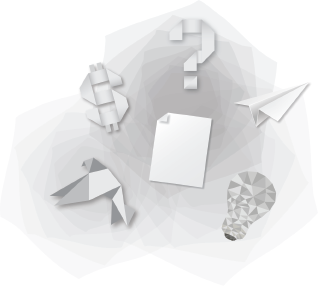 Build a focus for your job search including accountability and plan of action. You don’t have to go it alone. Like a Personal Trainer, but for your job search, we’ll be there to help you when you need inspiration or new ideas. Get you on the path to making career decisions with intention, learning to say no to decisions that don’t serve you. Having an inner compass guiding you will allow for clearer results. Getting started is always the hardest part. But, we’ve made it easy by creating packages to help you explore career options, find the right job or grow in your current job. So start here and get in touch if we can help you escape the greyzone!